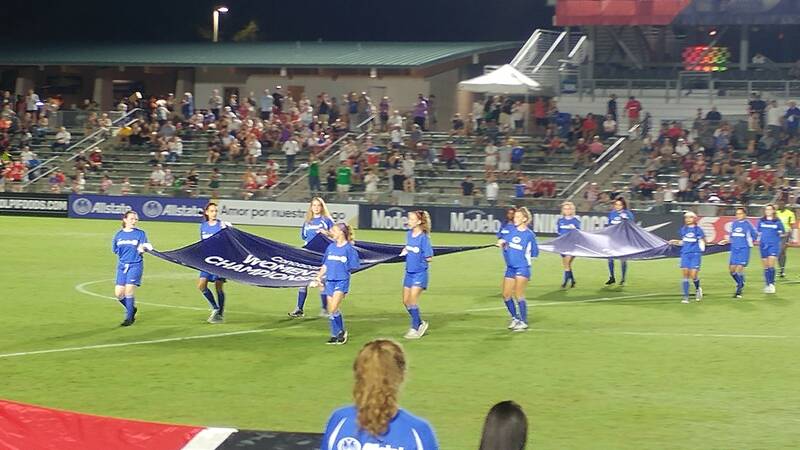 On Sunday, October 7th, players from our 2003, 2005, and 2006 Girls teams were ball girls and flag bearers for the Women's World Cup qualifying that took place in Cary, NC. Our girls were on the field during the 5-0 USA Women's National Team win vs. Panama and during the Mexico vs. Trinidad & Tobago game. Below are some pictures from the game. A big thank you to US Soccer and Nike for giving this great opportunity to our players.